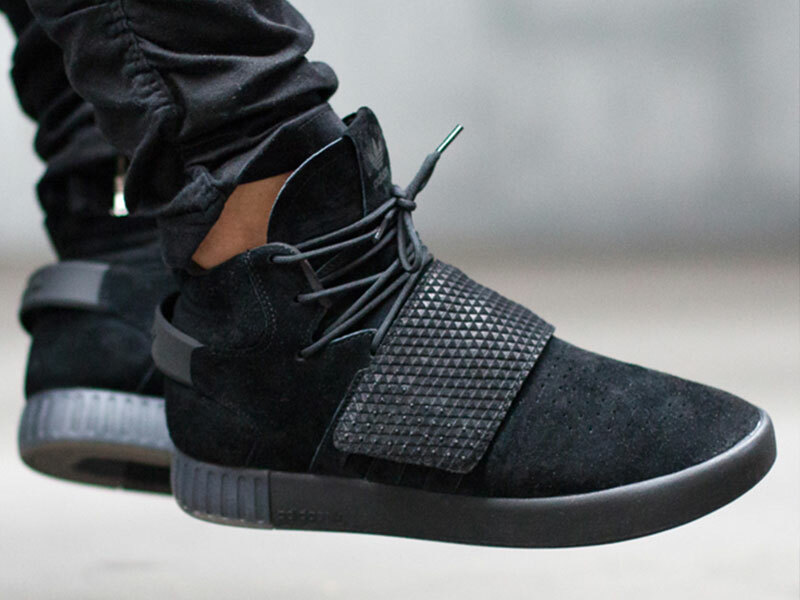 Adidas Tubular Doom, Cheap adidans tubular invader strap The Salvation Army Forest of Dean, The adidas Tubular Shadow Knit Is Now Arriving At Retailers, Adidas Tubular Invader Strap Duck Camo BB 8393, Adidas Originals Tubular X Premium Primeknit Lookbook, Boys 'Toddler adidas Originals Tubular Shadow Knit Casual Shoes, Tubular Sale Adidas Tubular Sale, Men 's Sterling Silver Solid Tubular Crucifix Cross Pendant Necklace. You don’t have to be a SoHo staple or runway resident to know that designer fashion is shifting the trajectory of modern sportswear and thus sneakers. While the changing trend is definitely a representation of the push-pull relationship between fashion house heads dressing down and street wear sharpening, adidas has long found itself in the middle of the this movement, teaming up with Yohji Yamamoto and countless other creatives to best represent the tension between style and sport. At the top of that tension is Nic Galway. The recently appointed VP of Global Design at adidas has worked with the likes of Y-3 and Rick Owens on aspirational product that pushes both boundaries and budgets, more often appearing at Fashion Week and in blog pages than on feet in the street. This past fall, the gap between high fashion dreams and everyday wear continued to close as Nic and the Three Stripes introduced the adidas Tubular:?a modern, minimal and innovative design that captures the creativity of the brand’s rich sports DNA while still striving with no obvious need for nostalgia. Coming off the heels of the Y-3 Qasa Shell, the Tubular proves sleek and accessible, coming in at a price of $110 with much wider distribution than its pricey, label-laden predecessors. We spoke with Nic to hear about how the Tubular came about, what it’s like to work with Rick Owens and what’s next for adidas Originals. Nice Kicks: To start, tell us a little bit about your design background and work with adidas. Nic Galway:?My background is that I studied as an automotive and product designer. When I left my studies, I became part of a multi-disciplinary product design team in the UK where I worked for a number of years. Right from the beginning, I’d always been much more interested in very hands on work– just making things and exploring things. That drove me to apply to adidas, which I joined back in 1999. During my time at adidas I’ve held many positions. I started in sports performance and very early on in my career I had a chance to speak with Yohji Yamamoto. He liked a lot of the work I had done so he invited me to work on some of his shows. That led to the start of Y-3, which I was a part of. I had a very interesting route into the brand which has led to a very interesting journey. I’ve worked with Stella McCartney and I’ve worked on many of the other high profile collaborations and recent products like the Y-3 Qasa and the Pure Boost. Nice Kicks: When did work on the Tubular begin and how did it come about? Nic Galway: Basically it started some time ago, maybe four to five years back. At that time, I was looking to promote within the company seeing how far back we could take the collective memory of our brand. I was very interested in Originals, but at that time I was working with Y-3. 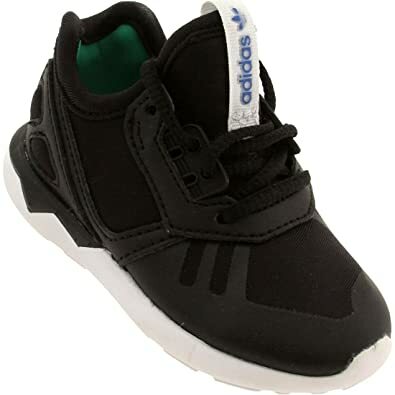 So, I took a trip and was looking at old products, [including the original adidas Tubular.] It wasn’t so much the actual shoes but the prototypes that led to that shoe that really caught my imagination. The prototypes were somewhat crude, they’re handcut, handmade, and they had a real charm about them. It got me really inspired. What I wanted to do was to strip back the idea to what the initial thought would have been as to why they started that product. So it wasn’t about creating a one-to-one version of the original Tubular, but rather understanding why they did it. That took me to the idea of suspending the foot over a tire which is very close to the end product that you’ll see today. Nice Kicks: Despite starting on the shoe four to five years ago, the finished product is very on-trend with the market today. What do you attribute that to? Nic Galway: I had the idea for how I wanted the shoe to look pretty early on, perhaps we were ahead of the curve there. As a designer, you can be kind of impatient to get your ideas out. I think actually having it rest awhile and be able to get a head around it was probably a good thing. It really allowed me to evolve the project. As you know, we kind of launched the original intention of this shoe through Qasa. That gave us a real chance to test with out any expectation. There was such a good response to that shoe, it’s amazing the comments I received when people first saw that product, and it gave us the strength to know that we were on to something. We always wanted to create really democratic product, product that’s available to a much wider audience. Through Originals, it really allows us to do that. It was kind of perfect timing and great to be at the front of that challenge. Nice Kicks: In the past couple of years, the non-retro lifestyle running market has really taken off. What do you attribute that to? Nic Galway: I think people have become a little bit tired [of retro.] They love the past– I think that will always be a strong root in everything we do– but people are looking to be challenged I think. You’ve had a long period of similarity and now I think people are much more open minded. That’s why we’ve created the products we’ve been working on. I think it’s proving to be a big success because the reaction we get to these more challenging products has been incredibly positive. I think that’s a good sign for the industry as a whole. Nice Kicks: How have changes in modern fashion influenced the way you design footwear? Nic Galway: We talk about fashion quite a lot and obviously in my previous role I was leading the fashion team at adidas. We tend to talk more about style and culture, we never set out to design a ‘fashion shoe’ as such. I think what’s interesting for us is that as a brand we have something that normal fashion brands can’t offer, and it’s really about finding that tension between sport and fashion and creating a new dialogue. So not just simply trying to be a fashion brand but really looking at the way that sport and culture have merged. It used to be very separate but now it’s become hard to discern. I think that’s really exciting for us because it gives us a clear point of difference from many other brands. Nice Kicks: You’ve worked with the likes of Rick Owens and Raf Simons. What’s the creative process like when combining the vision of adidas with that of an established designer from another realm? Nic Galway: What’d I say actually is that there isn’t a process as of such. I’ve had such good opportunities to work with so many great designers during my time at adidas. What I’ve learned is that if you go with a strategy it doesn’t take you where you need to go. I think it’s better to go with an open mind and to treat each relationship in a different way. What’s key about adidas is that it’s always about collaborating. We’re not there just to endorse or to manufacture, we really want to build a relationship with whoever we’re working with. It’s understanding that process and seeing what we can bring from our own company to their’s and marrying those two together. That always makes us stronger. We know that when we really hit the strength of adidas and the strength of a key partner, that’s when we really get success. On projects like Rick Owens for example, it’s just so nice to meet with a designer that has such a clear vision for his own label. It was just a real pleasure to work with him because he knew exactly what he wanted and he also knew what we as a brand could bring to his company. It’s always about finding the right balance between us and whoever we work with and making sure it’s truly collaborative. Provided we do that, then I think we succeed. Nice Kicks: Recently you’ve received a new title. What is your direction as the new VP of Global Design at adidas? Nic Galway: It’s where we start, it’s all about creativity. What I want is that everything my team does to be rooted in creativity. Whether it’s a bring-back, in which case we do it true to the original and make it to the highest quality, or if it’s something that’s forward reaching, it all has to start with creativity. I really want to bring everything I’ve learned over my experiences with the brand and bring that to the team and I really want to move forward constantly. Adidas is a pioneering brand and that’s what I stand behind. 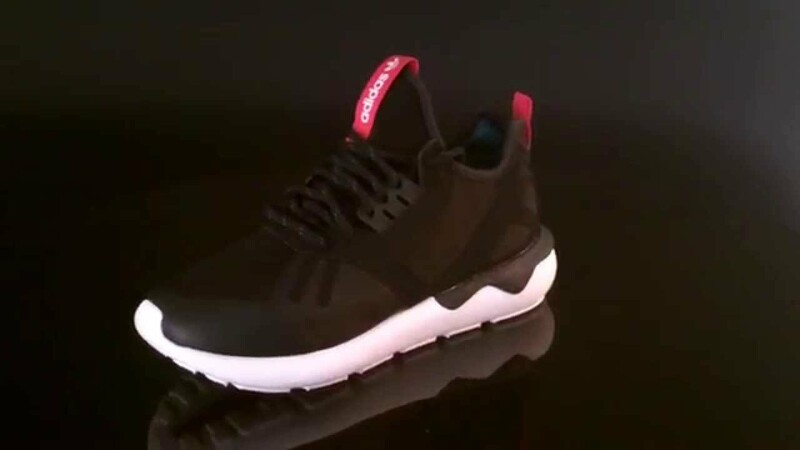 Nice Kicks: Lastly, what can sneakerheads expect from the adidas Tubular as it launches? Is this the first step towards rapid innovation for adidas or is the Tubular a model that will remain relevant and on the market for years to come? Nic Galway: I see both. I see the Tubular as a stake in the ground. It’s an intention from us. We want to let people know that we are an innovative brand with a very rich history. I think this rich heritage can either be a hindrance or it can really be a true enabler. For me, it has to be the enabler. I think this is a starting point and what I’m really looking forward to is seeing where we can take the Originals brand moving forward but doing it in a way where people can still connect. 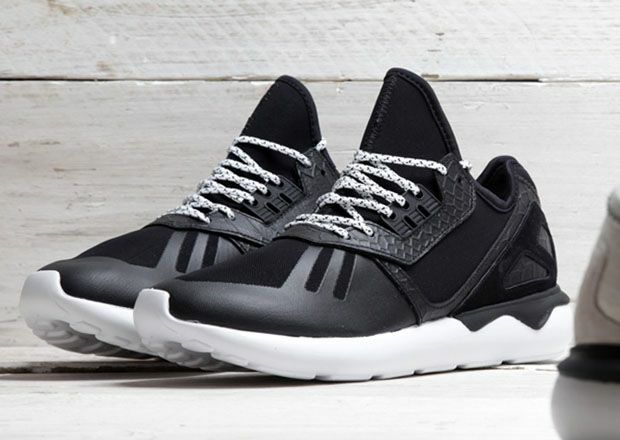 The adidas Tubular?is out now for $110 at select adidas Originals accounts and Finish Line.